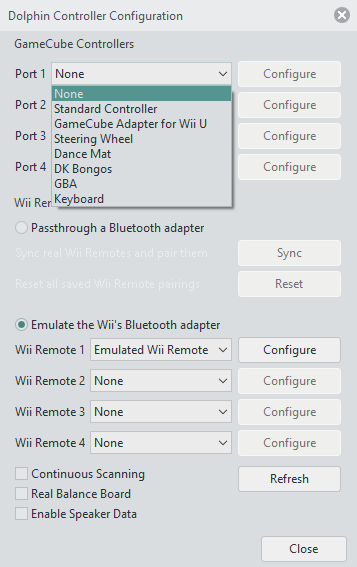 How To Setup and Use An Emulated Gamecube Controller? Controllers, set GC 1 as emulated and configure? (02-17-2017, 10:22 PM)Craftyawesome Wrote: Controllers, set GC 1 as emulated and configure? What game are you trying to play? Is mkw = Mario Kart Wii? (02-18-2017, 02:08 PM)KHg8m3r Wrote: What game are you trying to play? Is mkw = Mario Kart Wii? "Standard Controller" is an emulated GameCube controller. (02-18-2017, 06:01 PM)JosJuice Wrote: "Standard Controller" is an emulated GameCube controller.